Send someone a personalized scoreboard greeting during an Arizona Cardinals home game in front of more than 65,000 of your closest friends. Tell us what you want to say in 10 words or less, and your message will be immortalized on the State Farm Stadium’s scoreboard during the Cardinals game of your choice.  Messages will be displayed on both stadium scoreboards during the first quarter. The cost of personalized message is a $100 donation to Cardinals Charities, payable with a credit card. The deadline for purchasing a scoreboard message is Tuesday at 5:00pm (AZ Time) before the selected game with some exceptions for non-Sunday games. You can purchase a message for any upcoming game at any time prior to the deadline as long as inventory is available for the selected game. No commercial messages or profanity are allowed. In addition, the Arizona Cardinals reserve the right, in their sole and absolute discretion, not to display any messages that are deemed inappropriate, including but not limited to messages that are political in nature or messages that support any team other than the Arizona Cardinals. Check back for future scoreboard message opportunities.